Yesterday the space outside the house was totally filled with two massive lorries and a large white van. Now all that remains are wheel ruts and a few discarded chips. Today we have not seen another person. Molly and Dahlia – our experience so far. Jan 15 – Rudely snatched from our house, stuffed in a crate and buried in the back of a truck for five hours. 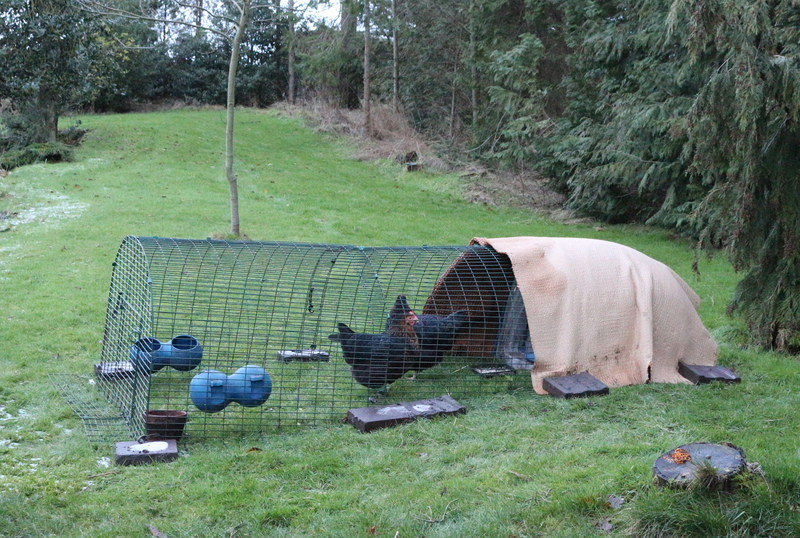 Released into a cold bare greenhouse where we had to roost on a potting rack. 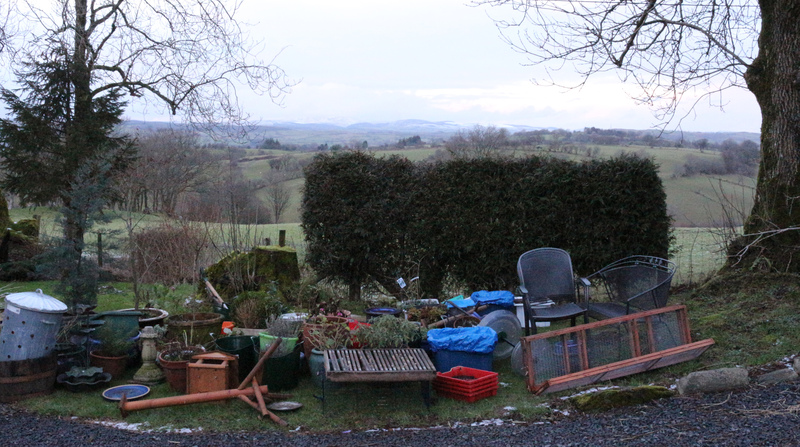 Jan 16 – Showed our disdain by standing in the corner of the greenhouse all morning. Seemed to work as in the afternoon we were transferred here. 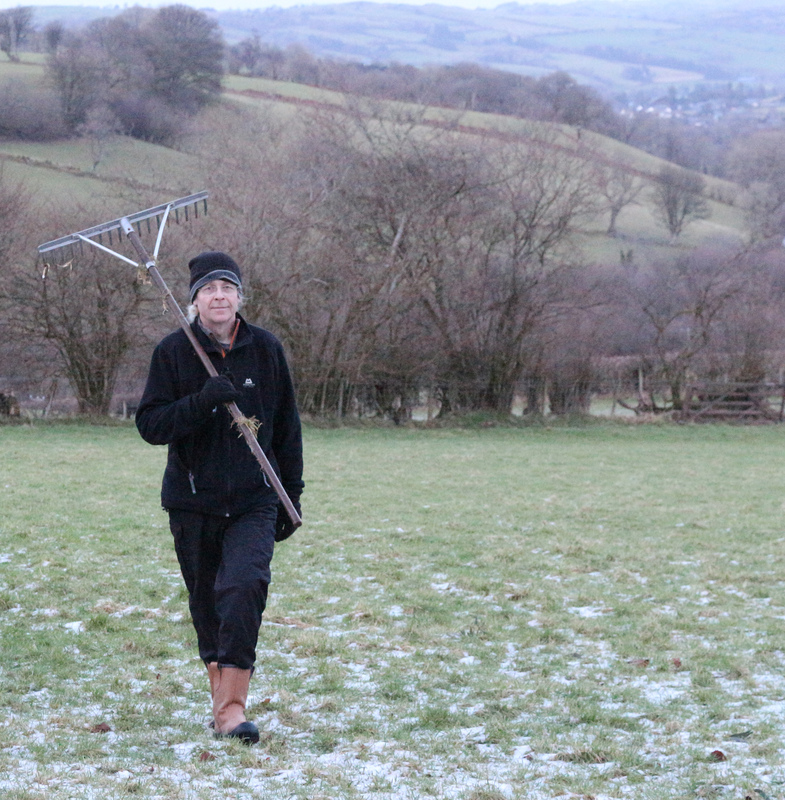 Jan 17 – Not too impressed as they didn’t put any cover on our run and when we woke up the ground was all white. Staged in indoor sit-down strike in protest. Have heard them talk about opening the door of this run tomorrow but probably won’t bother going out. The bottom field seems well drained.